Bringing together more than 160 works on paper by such iconic artists as Salvador Dalí, Max Ernst, Leonora Carrington, and Joan Miró, this is the first major exhibition to explore the central role of drawing in surrealism, one of the most important movements in twentieth-century art. Once considered a minor medium, drawing became a predominant means of expression and innovation among surrealist artists in the first half of the twentieth century, resulting in a rich array of graphic techniques including automatic drawing, collage, decalcomania, exquisite corpse, and frottage. Drawing Surrealism offers multiple new perspectives on the emergence, evolution, and influence of this revolutionary movement. It also explores the international impact of surrealist drawing by featuring important works on paper by over seventy artists from fifteen different nations, including Japan and countries in Eastern and Western Europe and North and South America. 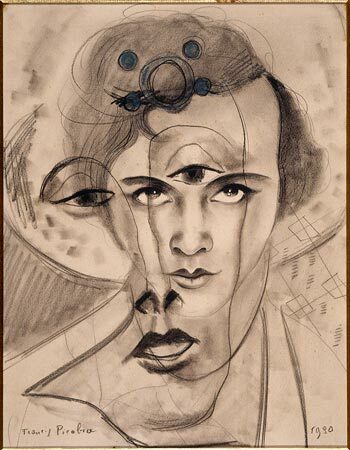 Drawing Surrealism is co-organized by the Los Angeles County Museum of Art and the Morgan Library & Museum. Lead funding for this exhibition is provided by the Ricciardi Family Exhibition Fund and by the Pierre and Tana Matisse Foundation with further generous support from the Sherman Fairchild Fund for Exhibitions.